This intimate hotel on the tropical island of Bali surrounded by paddy fields and verdant hills is the epitome of laid-back luxury. Its philosophy of quiet comfort in a culture-rich location perfectly sums up this luxury inland retreat dedicated to health, activity and adventure. 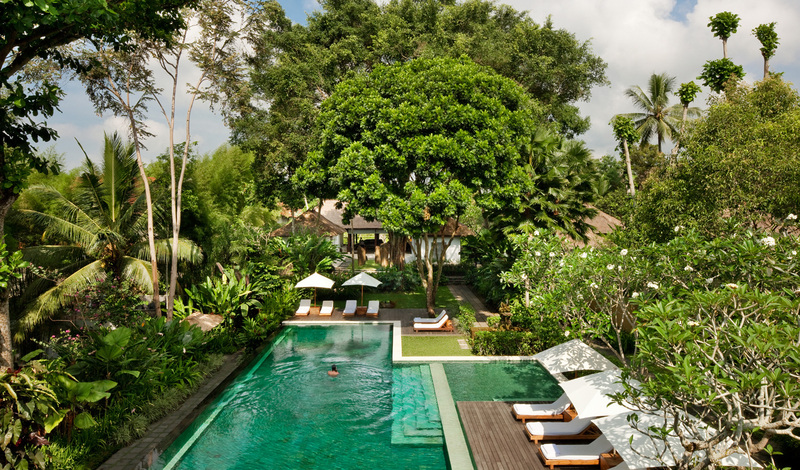 Whether it be unwinding in the luxurious spa, getting your adrenalin fix whilst white water rafting or discovering the local culture as you amble through the rice paddies, Uma Ubud has everything you want for a luxury hideaway. Uma Ubud is hidden on the fringe of Ubud, a small artist’s town and Bali’s cultural centre, overlooking the blossoming Tjampuhan Valley. The surrounding landscape is complete with rolling rice paddies carved out of lush hillsides and backed by the towering coconut palms. From the international airport of it’s a 90-minute drive, until you reach your paradisaical hideaway. Sleek and expertly designed so your room blends seamlessly into the Balinese landscapes, your room at Uma Ubud will feel like a rural home away from home; and a luxurious one at that. Surrounded by tropical gardens and indigenous materials, your thatched haven is charming with a modern touch portrayed in the lustrous bathrooms. For added luxury and privacy, the Uma Pool Villas offers a private plunge pool where you can while away the hours over-looking the teeming jungle. 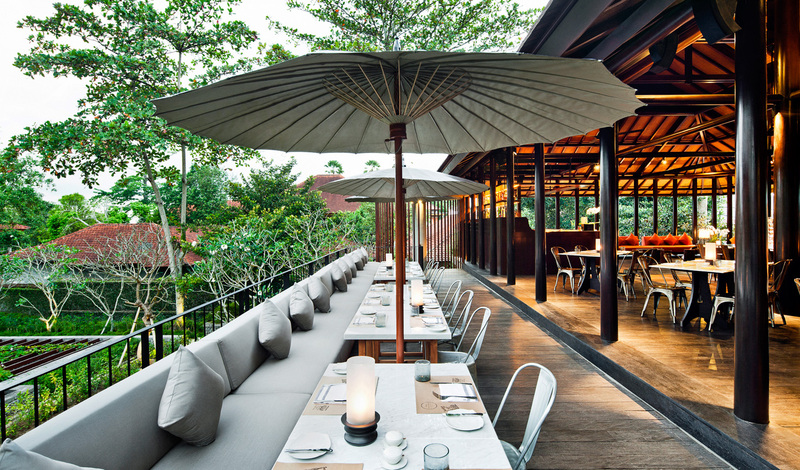 Being part of the Como Group, Uma Ubud has a strong focus on health and wellness with the Como Shambhala Retreat offering a wide range of holistic Asian-inspired treatments. Once feeling refreshed and revived we’d recommend a pre-dinner cocktail or two. With staff known for being cocktail specialists, a trip to Uma Bar is a must. We recommend their perfectly concocted mojito…it would be rude not to.